For further information on the change in pricing approach and pricing-related terms mentioned within the video, please read this investor letter and our simple guide to fund pricing. These are the views of the author at the time of publication and may differ from the views of other individuals/teams at Janus Henderson Investors. Any securities, funds, sectors and indices mentioned within this article do not constitute or form part of any offer or solicitation to buy or sell them. The information in this article does not qualify as an investment recommendation. This video is intended solely for the use of professionals, defined as Eligible Counterparties or Professional Clients, and is not for general public distribution. Past performance is not a guide to future performance. The value of an investment and the income from it can fall as well as rise and you may not get back the amount originally invested. Tax assumptions and reliefs depend upon an investor’s particular circumstances and may change if those circumstances or the law change. If you invest through a third party provider you are advised to consult them directly as charges, performance and terms and conditions may differ materially. Nothing in this document is intended to or should be construed as advice. This document is not a recommendation to sell or purchase any investment. It does not form part of any contract for the sale or purchase of any investment. Any investment application will be made solely on the basis of the information contained in the Prospectus (including all relevant covering documents) and KIID, which will contain investment restrictions, risks and fees. This document is intended as a summary only and potential investors must read the Prospectus, and where relevant, the key investor information document before investing. We may record telephone calls for our mutual protection, to improve customer service and for regulatory record keeping purposes. 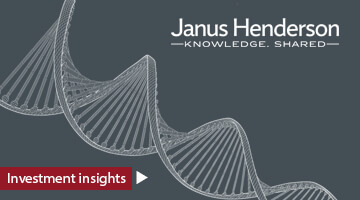 The Janus Henderson UK Property PAIF is a Janus Henderson Investors’ product but its management is outsourced and its sub-investment manager is Nuveen Real Estate.